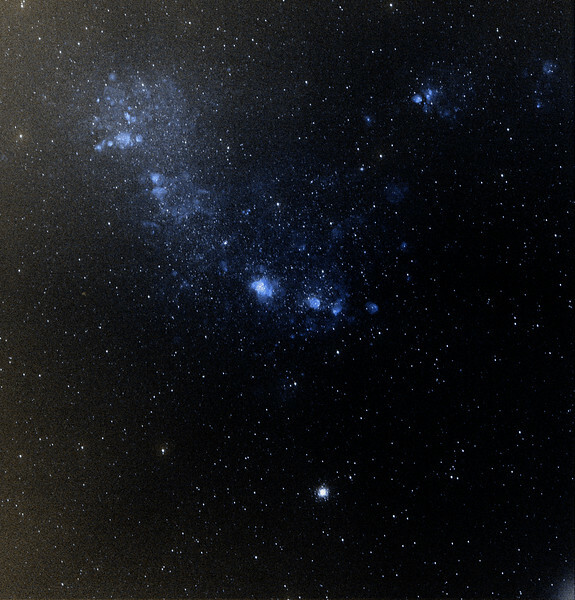 The Small Magellanic Cloud is actually a dwarf galaxy near the Milky Way. It is classified as a dwarf irregular galaxy. It has a diameter of about 7,000 light-years and contains several hundred million stars and has a total mass of approximately 7 billion times the mass of the Sun. The SMC contains a central bar structure and it is speculated that it was once a barred spiral galaxy that was disrupted by the Milky Way to become somewhat irregular. Remotely imaged on a 106mm refractor at Siding Spring Observatory NSW Australia.